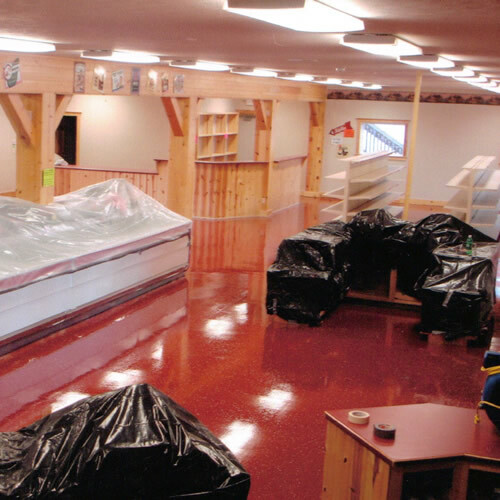 When your business needs a durable commercial flooring contractor, Northern Industrial Flooring is ready to serve. We provide a high quality assortment of commercial flooring choices such as epoxy, chemical resistant and floors for food and beverage facilities. Along with our high quality workmanship, you'll be completely satisfied after calling Northern Industrial Flooring. With today's high standards in manufacturing safety, your floor should be the last thing you are concerned with. 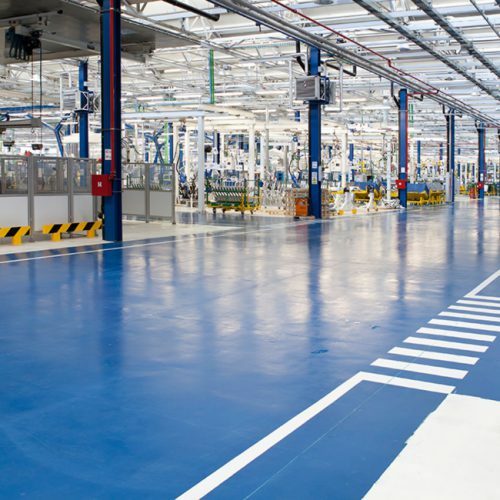 Northern Industrial Flooring can provide the highest quality of epoxy and chemical resistant floors for your manufacturing facility that will have a safe floor covering, but also improve the overall quality of appearance. Call Northern Industrial Flooring Today. We serve Indiana, Ohio and Michigan. Service is what separates us! Your floor needs to be able to put up with a lot of abuse from daily wear and tear. You need to ensure that you choose a product that will last, but also looks great. You want something that is known for its strength, durability, ease of maintenance, and beauty, and a company that you know will do the job right! 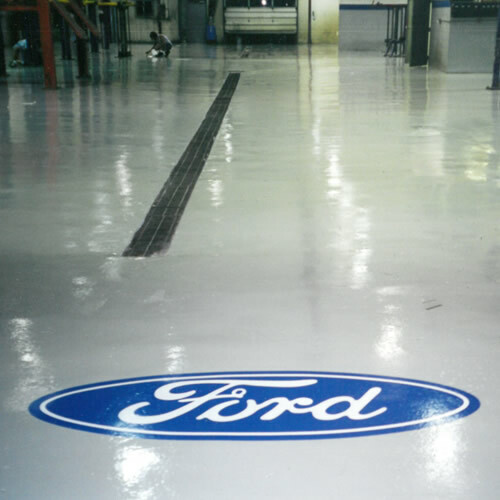 The care, installation and maintenance of industrial flooring is something that should never be overlooked or taken lightly. Location is not a problem either. 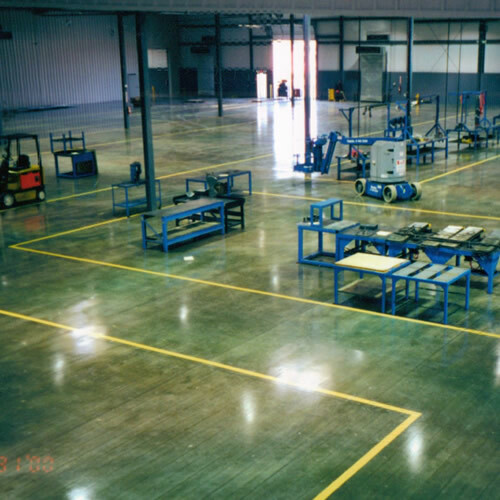 We've been all over the Midwest and farther to provide quality industrial flooring needs. Indiana, Michigan, Ohio and Kentucky are just a few of the many states we've provided commercial and industrial flooring solutions in. 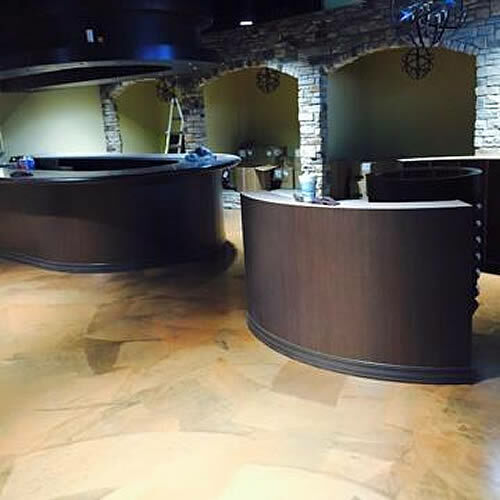 Flooring for restaurants, auto dealers, industrial and other commercial applications all have a variety of composition needs. 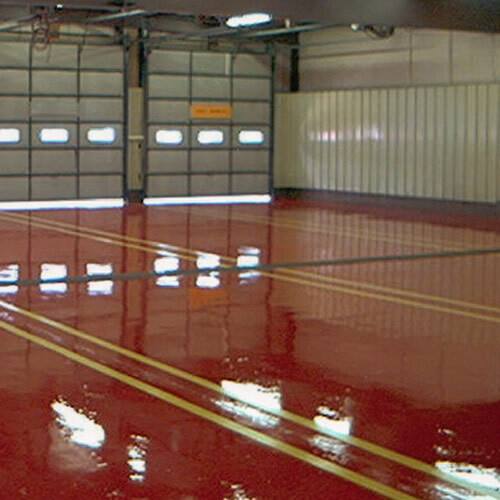 There is general floor painting, epoxy flooring, food grade, electronic lab grades and many more. Our trained flooring staff will evaluate your facilities flooring needs, then build a quotation for you that meets or exceeds the standards you require. Northern Industrial Flooring is your authority in industrial and commercial flooring needs. Service departments of all car and truck dealerships receive abuse from many fronts. One of Northern’s many flooring systems can help maintain an easy to clean environment. Commercial flooring includes many different types and styles, from decorative quartz to stamped concrete overlayments. We have full broadcast chip flake floors to random broadcast flake systems. The food and beverage processing industry have some very unique requirements for the flooring industry. Northern has formulations to withstand chemical and thermal attack. Many Industries havea need to control static electricity. Northern static control floors come with our exclusive 5-year warranty that your new Northern floor system will stay ANSI compliant. Northern uses a wide variety of products to meet the chemical resistant requirements that chemical processing facilities will require for their flooring systems. With the right warehouse flooring system, your flooring could actually improve your overall light reflectivity, helping to reduce the amount of lighting needed and reduce your electric consumption. Northern's flooring systems are widely accepted in government and municipal areas. Fire stations, jet hangers and testing bays just to name a few. We know how to work well with governmental regulations. A well maintained floor says a lot about your company. Not only to your customers but also to your employees. 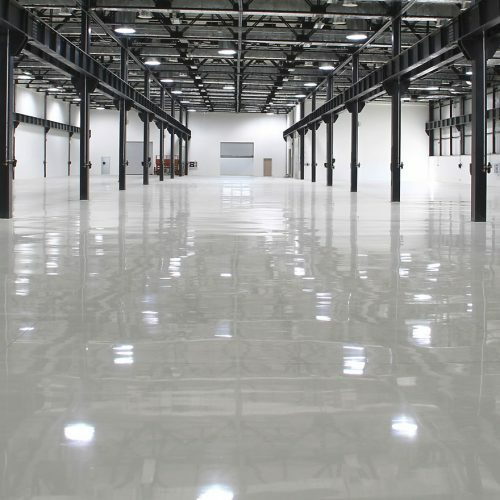 So if you are looking for a self leveling epoxy floor for your factory floor or a highly polished concrete floor for your store lobby or restaurant, then Northern Industrial flooring is the company of choice for you.